Robust and winter-proof outdoor accommodation! Even when the weather really turns south, the Mark 3P provides all the weather protection you need to sleep soundly through the night. It’s not only the sturdy, rugged DAC tent poles made from high quality AL 7001 aluminum that are keeping you safe from the storm, but also the free-standing, stormproof construction and the full coverage of the tent fly. The classic Mark technology guarantees that three people will have plenty of room to move along with enough space for their gear, rain proof ventilation and a comfortable microclimate inside the tent. 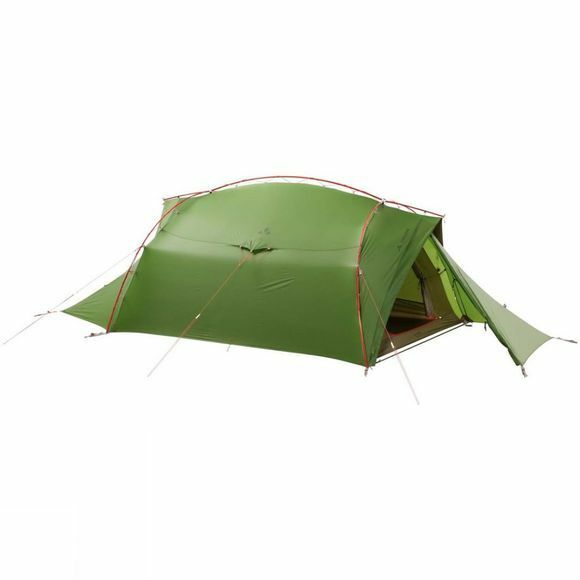 A Mark tent just wouldn’t be a Mark if it couldn’t be set up in a flash; thanks to the practical outer tent poles with elastic attachment and the tent pole pockets in the fly. No need to fumble around threading the poles through a sleeve! In addition, the elastic connection between the outer tent and poles automatically compensates for the effects of strong wind gusts. To keep everything nice and dry even in bad weather, it also features a bathtub floor and the two entrances mean less time tripping up over each other getting in and out. 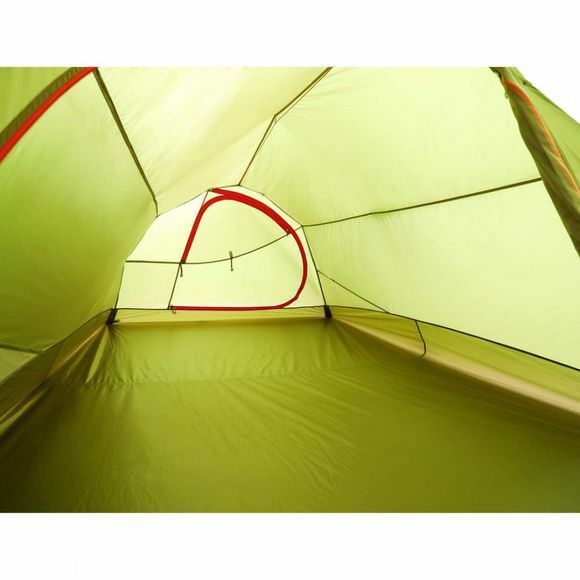 The inner and outer tents can be set up together or simply set up separately. Put to the test in harsh outdoor conditions for years now, the Mark 3P remains a weatherproof classic in the Vaude range. The VAUDE Green Shape label stands for environmentally-friendly, functional products made from sustainable materials.